The fourth installment of NMWA’s biennial exhibition series, Organic Matters—Women to Watch 2015 is presented by the museum and participating national and international outreach committees. The exhibition’s artists redefine the relationship between women, art, and nature. Although her subjects have survived for millennia, Sussman brings awareness to the fragility of their existence due to recent climate change and human encroachment. 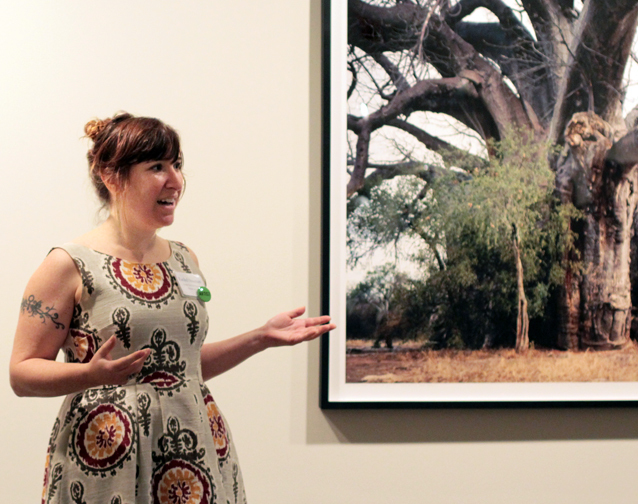 Organic Matters includes three large-scale photographs from her series. La Llareta #0308-2B31 (2,000+ years old; Atacama Desert, Chile) is what Sussman calls the “poster child of the project.” These alien-like shrubs are related to parsley and carrots and are comprised of thousands of densely packed branches. 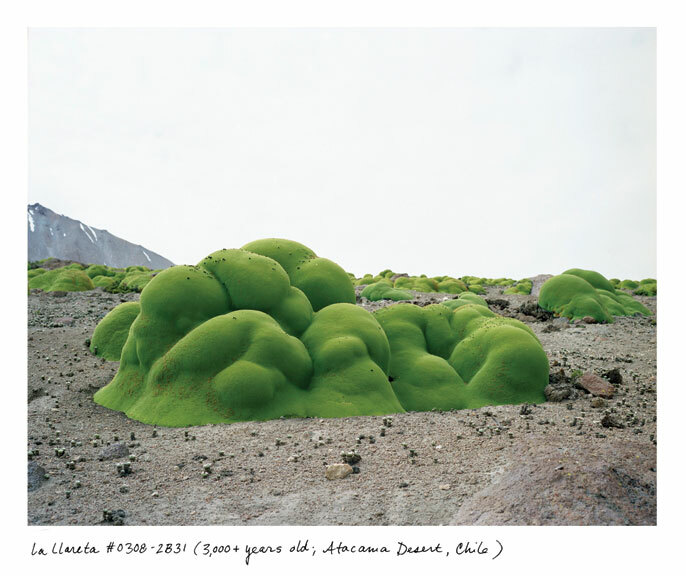 Sussman photographed La Llareta at an elevation of 15,000 feet in an area of the Atacama Desert with no recorded rainfall in history. Spruce Gran Picea #0909-11A07 (9,500 years old; Fulufjället, Sweden) portrays the oldest organism in on view in Organic Matters. As a clonal organism, the spruce tree grows genetically identical shoots. Sussman refers to the tree as “a portrait of climate change.” The mass of low-lying branches represents how the tree appeared for 9,500 years. Over the last 50 years, a spindly trunk has grown from its center—a climate-related anomaly.